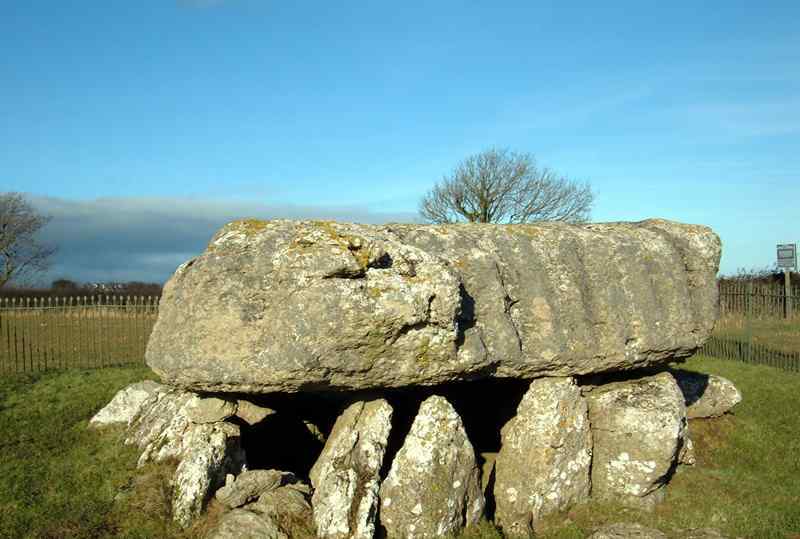 Din Lligwy Burial Chamber on Anglesey - an ancient monument on the island of Anglesey. 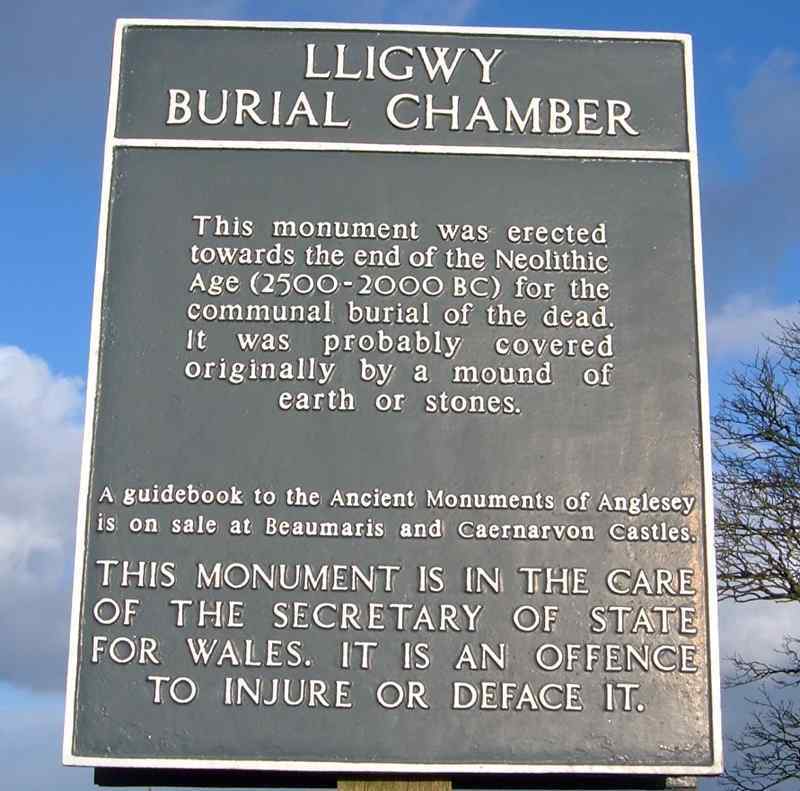 Din Lligwy Cromlech SH 496862. 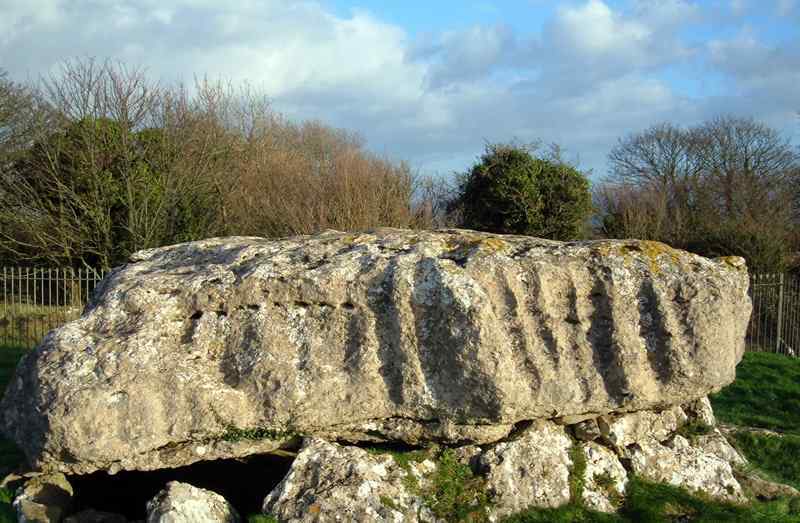 Located close to Moelfre on Anglesey, Din Lligwy Cromlech (burial chamber) boasts an 18 by 15 foot capstone weighing in at 25 tons, and standing on eight short stones. 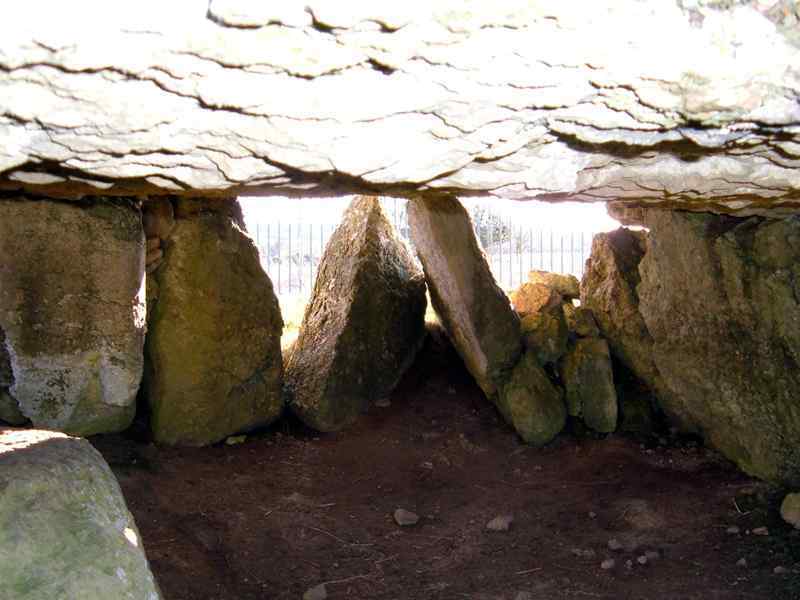 The Cromlech dates from about 5000BC. 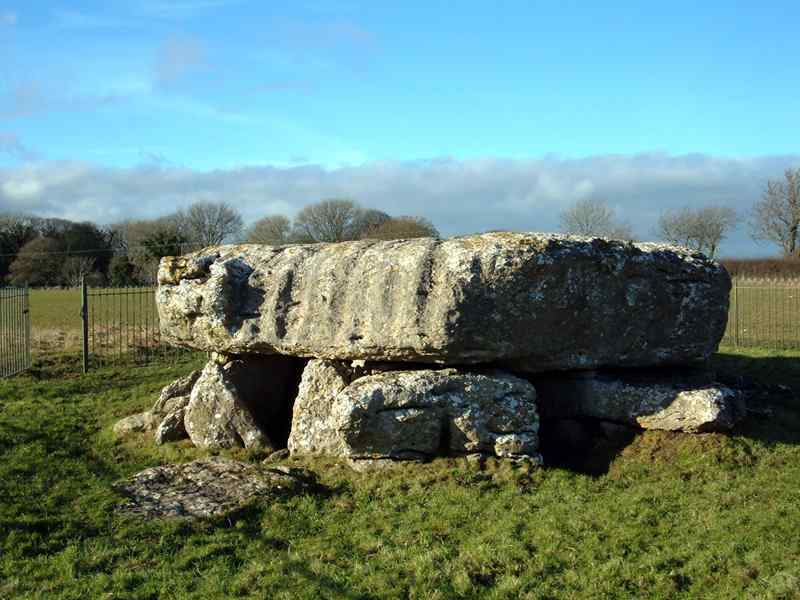 When it was excavated in 1908, the site gave up its dead. Bones of men, women, and children were found.